Originally known as PostNuke, Zikula is a feature rich, open source web application framework that lets users develop interactive and editable websites easily. It is written in PHP and uses MySQL/Oracle/SQL Server on the back-end for database related operations. It is a cross platform application and works fine on all popular operating systems. It serves as an application framework and Content Management System. Zikula can be used to develop websites of any size and complexity, from a simple blog site to a complicated e-commerce application; it can facilitate the development of every kind of websites. In this article, we will discuss how to install Zikula on a Ubuntu System. 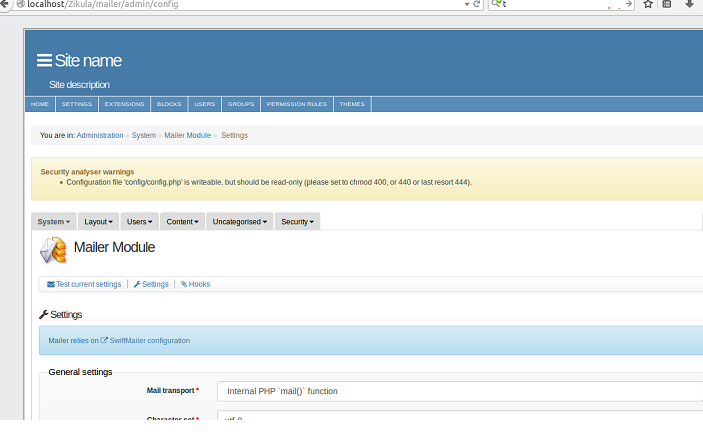 In order to install Apache, MySQL and PHP on Ubuntu system, lets just install Lamp Stack. Lamp stack comes with all these three components so it should suffice our needs. Launch your terminal and run following command to install Lamp-stack on your system. 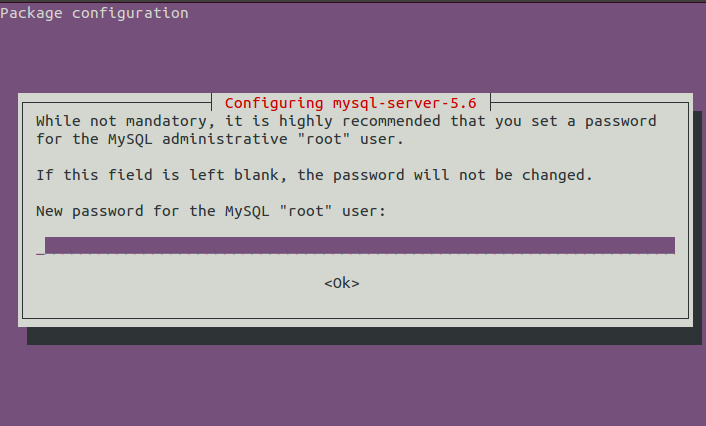 During the installation process, it will launch a pop up asking you to specify the root password for mysql, note down the password you set here as it will be used later when installing Zikula. Once the installation for lamp-stack is complete, run following command on the terminal to start apache service. Launch your browser and load http://localhost to verify that apache is running fine, it should display a page as shown below. Note: By default, apache document root is /var/www/html, you should upload your web scripts in this directory so that apache may serve them fine. Now lets enable Apache mod-rewrite module, run following two commands on your Ubuntu system terminal to enable mod-rewrite. 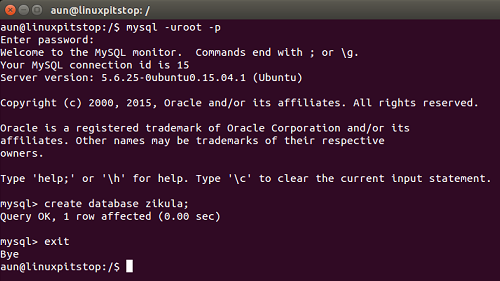 Let’s create database for Zikula now; login your mysql using root password and run following command inside mysql console to create database. Öur Ubuntu system is ready to install Zikula now. Download the latest Zikula from following URL. Once the download process is complete, go to the download location and run following command to copy this downloaded file to apache document root. Run following command to extract the downloaded Zikula zip file. 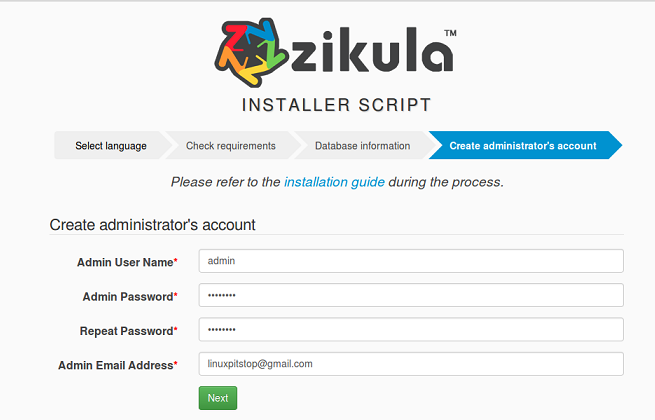 Give writable permissions to the Zikula directory for the installation purposes. Launch your browser and load http://localhost/Zikula , it should display the following page. Here, click “Install Zikula”. 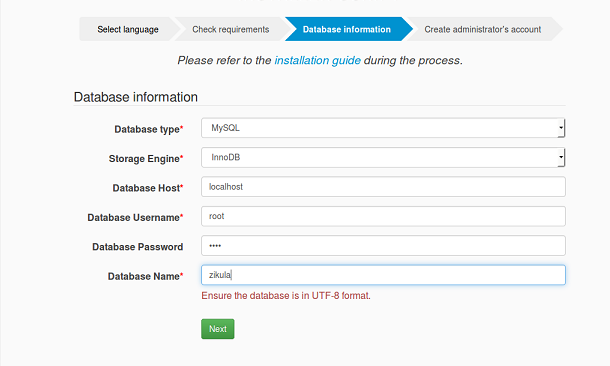 It will ask you to provide database name and MySQL root login details. Click “Next” once done, set your administrator account username and password on this step. Click “Next” to take installation process ahead. From here click “Begin Installer” and it will start installing Zikula on your Ubuntu System. It will let you view progress of the installation process in a unique way. 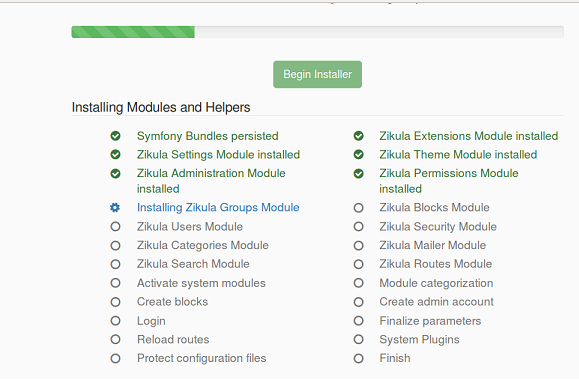 As soon as the installation is over, login with your administrator details and there you go, Zikula is up and running for you now. It is a flexible application and has gained popularity over the passage of time. It has abundance of features and rich internet community. Good hosting providers are also facilitating their customers with Zikula based hosting. But you can install it yourself for learning purposes using the method described above. A brief answer to your question is that I believe it is very difficult to do so because Doctrine doesn’t support the generation of Entities in PSR-4 and this makes it difficult at best. Another zikula core developer has experimented with this idea a little and had some success. I suggest you ask on our forums.